Scandinavian Kayaking Adventures is based in the city of Gothenburg and operates predominantly in the Bohuslän area, providing kayaking and camping adventure holidays in this remote part of Europe. We feel very fortunate to live and work in this amazing part of the world. We are driven by an enthusiasm and passion for sharing one of Sweden's finest regions. Each and every trip we arrange carries the same unwavering commitment to delivering a truly amazing and memorable experience of Sweden’s wild places. We are motivated daily by compelling stories of how our customers have had fantastic and, at times, transformative travel experiences. 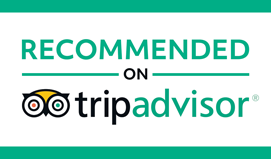 All our trips are self-guided, so every customer has a truly unique trip, and we love to read all about them in the fantastic reviews we receive on TripAdvisor and various other online platforms. Scandinavian Kayaking Adventures is a fully bonded tour operator with Kammarkollegiet. This means that you can book and travel with confidence, safe in the knowledge that you are 100% financially protected. We look forward to welcoming you here and sharing our passion, knowledge and experience of one of the last great wild areas of Europe.